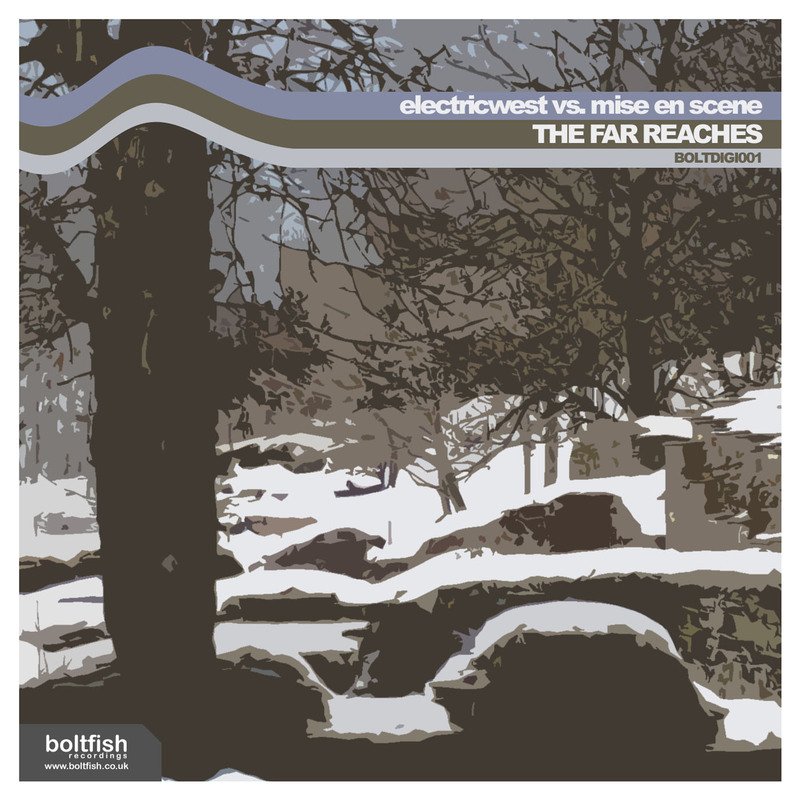 A special collaboration between Boltfish artists Electricwest and Mise en Scene, this FREE mp3 track was first made available as a festive download for 2007/2008. This warm and deeply textured electronica track is also the first in an occasional series of free downloads from Boltfish Recordings. "In an exciting development, the record label Boltfish has begun to produce its own netlabel. That is, a "proper" label with some three dozen releases to its credit since 2004 has recently released music intended for free download, and that MP3 is no anomaly; it’s described at the label’s website, boltfish.co.uk, as "the first in an occasional series of free downloads from Boltfish Recordings." The release in question is a single — a scratchy, glitchy, beaming five-minute collaboration between Electricwest and Mise en Scene, billed as Electricwest vs. Mise en Scene and titled The Far Reaches (MP3). It’s not uncommon for record labels to release promotional MP3s, but spinning off a netlabel is a promising turn of events."